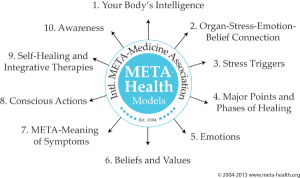 Meta Health is a truly amazing insight into our physical health. Controversially it explains how our emotional health is (90% even 95%+ ) the reason for our physical ailments and serious disease. Scary? Yes indeed! Even for me. Consider this: we subconsciously are responsible for the dis-ease in our body. That means we are not aware of it happening. So it can be difficult to figure out what triggered our body to take the opportunity to heal; i.e. what stressful event, concern is now resolved; what was going on to cause the stressful situation,……..
That’s where an EFT and Matrix Reimprinting practitioner can take you back to discover the trigger situation, memory, incident; the one you have given no thought to because it is over. 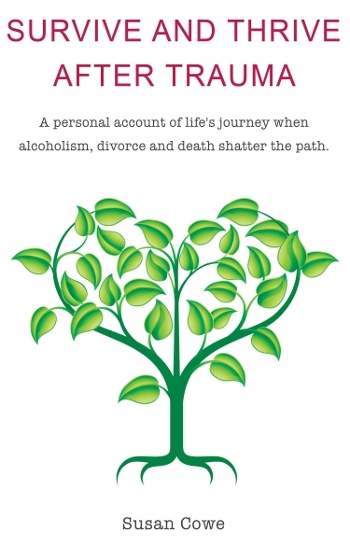 We heal the beliefs around the situation, clear the emotion; our emotional block has gone. I can also direct you to Meta Health specialists: Sam Thorpe, Penny Croal and Tansy Rock. I have Introductory knowledge and that in itself is fairly considerable. I write this to suggest you ponder possibilities. It is a big topic and guessing games are not really much help. Practitioner help is advised.